JEE Main 2018 Answer Key is made available by the coaching institutes right after the exam is over. 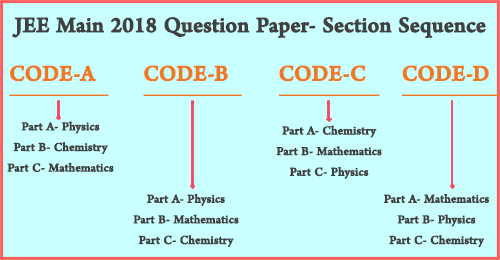 In the ideal case, the answer key of JEE Main 2018 for all sets should be same. But this is not the case as seen from the previous year trends. The answer key for JEE Questions as released by leading coaching institutes does differ. In this article, we will give you an analysis of the JEE Main answer keys. The JEE Main 2018 answer key has been compared for Aakash, Allen Kota, FIITJEE, Toppr and Resonance. 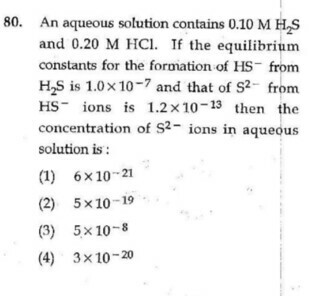 There were same questions in all the Sets and only the sequence of the question was different. The sequence of the options was also shuffled. The basis of JEE Main Answer Key Analysis: The unofficial JEE Main answer key released by leading coaching centres like Aakash, Allen Kota, FIITJEE, Resonance. These are available on the same day of JEE Main exam within few hours. We have also pointed out the questions for which the answer key is different. So the candidates can take benefit from these. JEE Main Answers which are same by all institutes will be very close to the JEE Main 2018 Final Answer Key. The questions with varied JEE Answers Keys by all institutes can be seen again by the students. Comparison displays the differentiation between the answer key released by leading coaching institutes. JEE Main offline paper has been concluded on 8 April 2018. 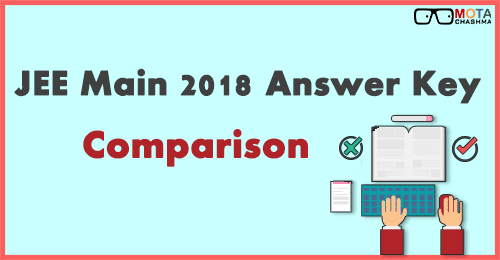 Here, Motachashma is providing the comparison between JEE Main answer key 2018 released by the private institutes. With the help of JEE Main answer key comparison, aspirants can compare the solutions provided in the unofficial answer key. Candidates will get to know the relevant JEE Main answer key using the comparison below. The code-wise comparison of JEE Main 2018 answer key of the solutions prepared by the experts of coaching institutes is provided below. The Questions Code A, B,C,D had Different Sequence. 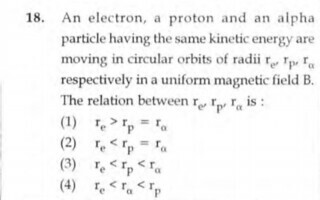 The Code A JEE Main 2018 Question Paper had Physics, Chemistry and Maths as Sequence. Code B had Physics, Mathematics and Chemistry and so on as shown in the diagram below. This analysis will help the student in getting the list of questions where the answer is same by all the institutes and where the answer varies across institutes. We have taken the list of leading coaching institutes in this case. Apart from these institutes many other institutes have released the JEE Main 2018 Answer Key. 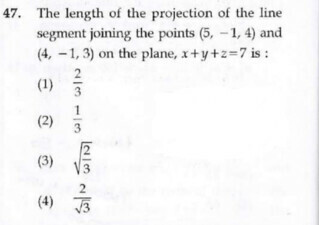 JEE Main question with same answers – These are the questions in the JEE Main answer key by all institutes which have identical answers. JEE Main question with varied answers – These are the questions where the JEE Main Answer Key provided by various coaching institutes differ from each other. With the help of aspirants, to know this concept in the better way, we have provided the graph stating the number of questions which have same and different answers. What we have seen that Toppr has given quite different answers as compared to the other institutes. This was the same question in all sets but just the answer options were shuffled. 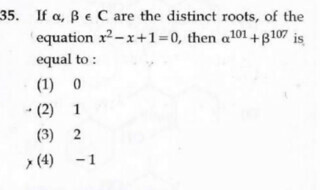 The placement of this question in the different set was as follows. Which of the following are Lewis acids? 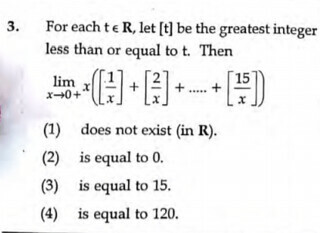 left a comment that 2,4 could be the possible answer. Either 2 or 4 is the correct answer for this. Since there are some different answers in JEE Main answer key by all institutes. Candidates do not have to worry and panic at all. It is advised to all the aspirants to wait for the official answer of JEE Main 2018. The official JEE Main 2018 answer key of CBSE will be published on 24 and will be available for the challenge until 27 April 2018. Students can download the official answer key and match their answers with OMR sheet to examine their expected scores. To download JEE Main 2018 official answer key, aspirants must click on the link provided on this sub-head.